A platform game (also known as platformer) is a video game genre distinguished by jumping to and from suspended platforms or over obstacles. A very famous example of a platform game is the best selling video game of all time, which is the Super Mario Bros. 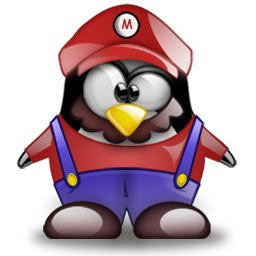 If you are exhausted from playing your favorite FPS games like Urban Terror or Alien Arena, how about you relax a little and play some good old "platform games" on your Linux box. I have here a list of some great free and open source platform games that you may enjoy. 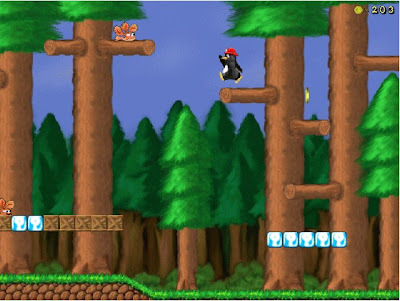 SuperTux needs no further introduction, as it is definitely one of the most famous games for Linux. However, if you want to know more about SuperTux, perhaps you should just read my quick review of the game HERE. 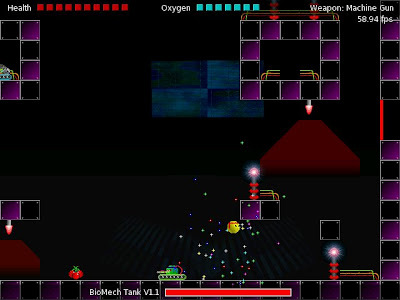 Blob Wars: Metal Blob Solid is an open source 2D arcade platform game developed by Parallel Realities. The aim of the game is to rescue Blob MIAs lost while fighting a battle against alien invaders led by their leader, Galdov (the Metal Blob). Metal Blob Solid features numerous different weapons, locations, boss battles and around 9 hours total gameplay. Secret Maryo Chronicles is yet another 2D jump-and-run game that’s based on Nintendo’s Super Mario Series. The game is a SourceForge project that began in 2003. Until now, it is still actively developed and maintained by the Secret Maryo Chronicles development team, led by Florian Richter ("FluXy"). Yo Frankie! is the famous 3D game created by the Blender Institute. The universe and the characters of the game are based on the open source animated short film entitled Big Buck Bunny. Yo Frankie! was recently released this November of 2008 and is currently available for download. 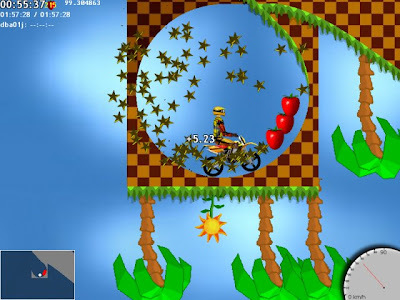 X-Moto is a 2D motocross platform game where physics play an all-important role in the gameplay. Although the game is completely 2D, it uses 3D hardware acceleration (OpenGL) for faster rendering. The game also utilizes the Open Dynamics Engine for a realistic-feel physical simulation. X-Moto is extensible with user-created custom levels that can be automatically downloaded. 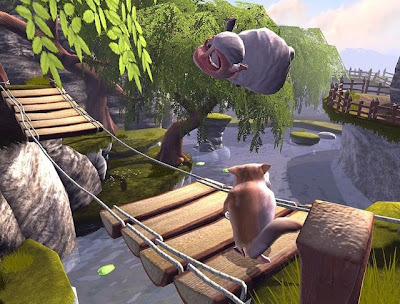 Neverball is a 3D platform game similar to Super Monkey Ball. 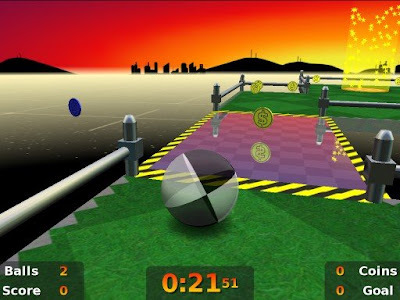 Its main gameplay is based on moving a ball using gravity by tilting the game world, not directly controlling the ball. The mouse (or a similar pointing device), keyboard, or joystick tilt the level to help guide the ball to a goal, via an obstacle course, with a set time limit. 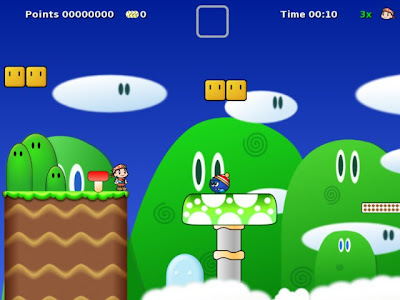 Moving platforms and other crazy objects get in the way, making levels progressively harder. "O.K., kids... let's get this straight. XEvil is not for meek, peace-loving, "I love you, you love me..." types of people. The fans of XEvil enjoy it because of its shameless displays of blood and violence, of people getting lit on fire, getting shot, being ripped up by chainsaws, getting high on drugs, and burst open by aliens." Great tip. I didn't know Linux has good games like these. Thanks a lot jun. 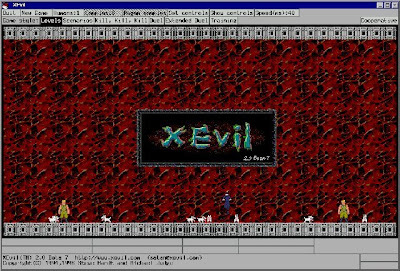 You make me remember my old student school days when my friends and I played XEVIL for 2 players in the same keyboard.. that was really fun!! These are platformer games, not strategy games. Do you really understand what means the >>platform game<< term? Excelent post Jun, I like your work. OK, sorry. I actually didn't knew what platform game means.